As a sommelier who works at NoMad in Los Angeles, I spend a lot of time matching up wine with items from a fine-dining menu. Certain wines are known to elevate particular ingredients, of course—think of Muscadet and oysters, Sauternes and foie gras, and Cabernet paired with a juicy steak. It’s also thrilling what a little effervescence can do to a dish. (Try Champagne with french fries; it’s bliss.) But I’ll be honest: I don’t come from the school of thought that there are rules for eating and drinking. And considering that the West yields some of the country’s most sought-after delicacies, from seafood to cheese, why not pair this culinary bounty with wines from resident vintners producing intriguing sips from esoteric grapes? Du Village” Mourvèdre 2015 from Gramercy Cellars (Columbia Valley; $42) because you never know when a craving for chops or a rack will strike. Once rarely seen outside of sushi restaurants and more often exported straight to Japan, sea urchin (aka uni) has become one of the most popular ingredients on menus no matter if they are French, Italian, or California-focused. With a flavor that’s a distinctive mix of briny, sweet, and buttery, the sea creatures are harvested off the coast near Santa Barbara. One of the most enlightening matches I’ve had was sea urchin pasta with a glass of off-dry Riesling. The uni had melted into the spaghetti strands, coating them in a creamy saline sauce, and the wine lent just a hint of sweetness. I’ve been trying to re-create the contrast of flavors ever since and would attempt again with a bottle of Smith-Madrone Riesling 2014 (Spring Mountain District, Napa Valley; $30). Cypress Grove has a ripple of vegetable ash in their Humboldt Fog; Laura Chenel’s fresh goat cheese is soft and milky; Andante Dairy takes a cue from the classic French crottin. What these cheeses all have in common (besides being made in Northern California and, as it happens, by women) is a creamy tang that is unmistakably goat cheese. In France’s Loire Valley, the most traditional wine choice is a local Sauvignon Blanc, like Sancerre. But I prefer goat cheese with the region’s other white wine, Chenin Blanc. Thanks to a balance of orchard-fruit aromatics, a hint of floral, and just the right mineral edge, the wine goes equally well when the cheese is young and when it adopts a nuttiness. I’d pack all three for a picnic, along with Lieu Dit Chenin Blanc 2016 (Santa Ynez Valley; $26). Spread on bread or whipped into a savory bavarois, Mexico’s avocado is incorporated into everything from high-end dishes to brunch offerings. The texture and mild flavor present a bit of a challenge when it comes to picking out a wine. A bright and crisp white would cut through the mouth-coating consistency, and a wine that’s light on aromatics would keep the fruit’s delicate flavor from being overpowered. An easy-drinking German varietal rarely seen outside of Europe, Sylvaner hits all the marks. Try pairing avocado toast with Scribe Sylvaner 2016 (Arrowhead Slope, Sonoma; $38) on a sunny porch for weekend brunch. It’s welcome news that the Sonoma winery just planted more acreage of the little-known grape. Prized the world over for its firm, flavor-packed flesh, Pacific salmon’s many species (chinook and sockeye, for example) are a good occasion to break the adage that one must drink white wine with fish. 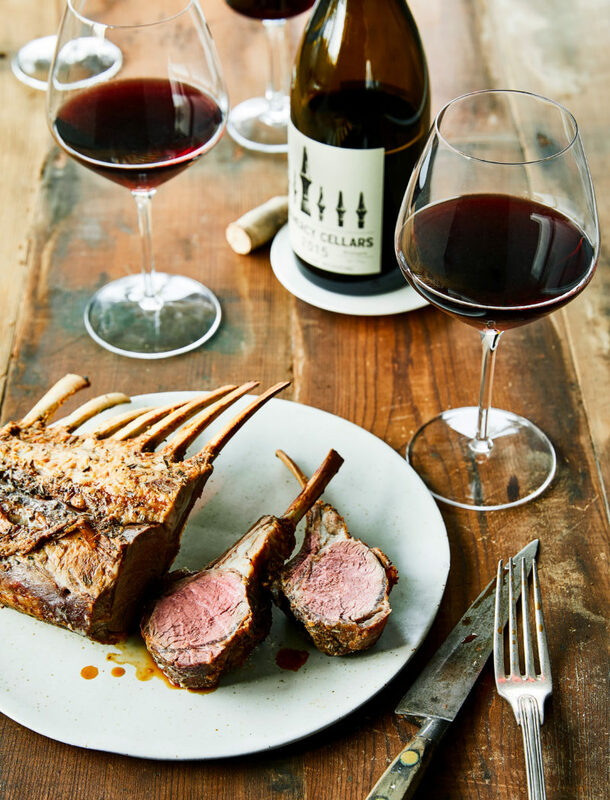 Whether grilled, sautéed, or seared, the stout meat begs for a light-bodied red, one that’s low on tannins, full of mouthwatering acidity, and heavier on earth and fruit elements. Enter Passetoutgrain, a Burgundian style of red that’s a blend of Pinot Noir and Gamay. While the former lends structure, acidity, and a savory side, the latter is fruit-forward and earthy. One of the only domestic wineries to make a Passetoutgrain is the husband-and-wife team behind Gros Ventre cellars, which bottles it in a way-too-easy-to-drink Gros Ventre “High Country Red” 2016 (El Dorado County; $26).